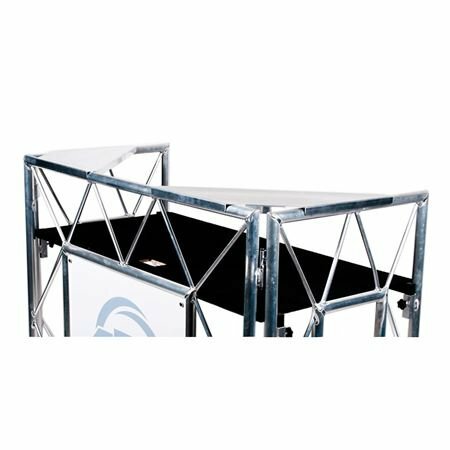 Order your ADJ Pro Shelf for Pro Event Tables from AMS and enjoy Fast & Free Shipping. Get the Best Deal with our Lowest Price Guarantee & Great Customer Service! 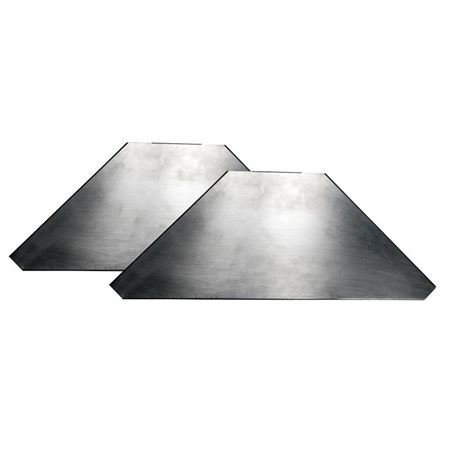 Aluminum corner shelf for Pro Event Table or the Pro Event Table II. Sold in Pairs. Used place additional gear on the Pro Event Table such as light weight lighting fixtures. It's perfect table for any DJ. Light weight... easy to setup and strike. Great for Mobile Dj's and The Piece for the laptop was a smart idea. These are great and come in a set of 2. They fit perfectly on the booth and make the laptop the perfect height. They can also be used to hold 2 ADJ pocket lights or other fixtures. Works perfect with my Adj pro event table! Make my table more professional without clutter. These shelves are so simple but yet so useful and just easy to add to the table.